Occupational therapy is a health profession that focuses on teaching people the skills they need to be independent in their daily activities and lives. The term "occupation" means "activity." not jobs as many people get this confused. The profession originally started out in the mental health field and its intent was to help patients engage in meaningful & productive activities so they would feel better about themselves. Since that time, it has evolved into a profession that serves the physical, mental, emotional, and social needs of people with all different types of illnesses, injuries and disabilities and in a wide variety of settings. 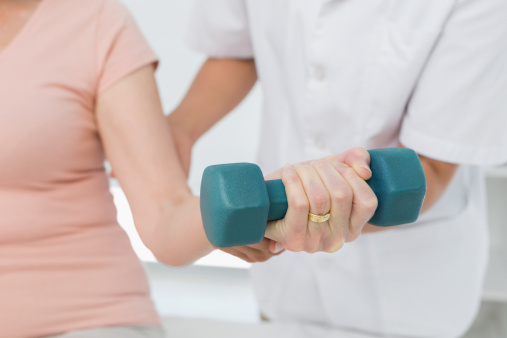 Occupational therapist work in private practice, hospitals, schools,nursing homes, rehabilitation centers, home health, manufacturing companies and so much more. An occupational therapist may help teach a person how to get dressed or make a healthy meal after they have experienced a stroke or may help a child learn how to function in school or walk again from an injury. Occupational therapist have great assessment skills whether looking at the environment for ergonomics or safety in the home. We assess and use adaptive equipment to allow an individual to maintain their independent with a particular task or lifestyle. We are trained in all of the following areas but some therapist can specialize in just one certain area. These treatment areas include; hand therapy, orthotic fabrication and fitting, nuero which includes stroke rehabilitation, brain injuries, dementia, Parkinson's. OT's work with all populations including pediatrics, adolesance, adult and geriatrics. OT's are also prevelant in the field of hippo-therapy, where we use horses as a modality to accomplish a goal such a trunk stability or sensory integration or coordination. I could really go on and on, but I would never be able to tell you all of the things that an occupational therapist can do. We are problem solvers, if you have a problem see a occupational therapist. In the state of Kentucky you can be treated by a occupational therapist without the order from a physician on a cash basis. if you want your insurance company to pay for the visit then you will need to get an order from your physician to see an OT for treatment. The Phoenix Thera-Lase laser therapy systems arer the only non-invasive, drug free laser therapy to transform treatment on chronic, acute pain, wounds and other intractable conditions. Versatile, proven and effective, Phoenix Thera-Lase is a powerful, highly reimbursable complement, even alternative, to traditional drug and surgical therapies. Indevelopment for over 18 years, The Phoenix Thera-Lase System is a portable laser bio-stimulation device that delives concentrated laser-light energy to the cellular level. Approved by The FDA as a Class IV device. 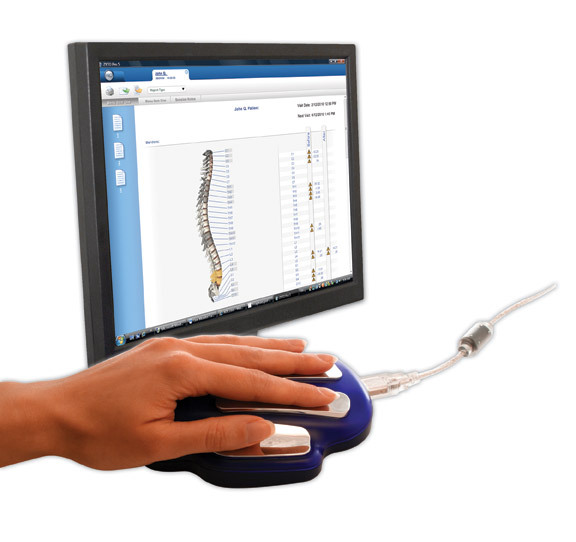 The Phoenix Thera-Lase System is convenient and easy to use by trained technicians in any practice setting. The Phoenix Thera-Lase System uses patented proprietary wavelengths in conjunction with acustom built system (stategic by internal design/fuction ) - to deliver invisible infrared energy to injured and inflammed soft tissue. 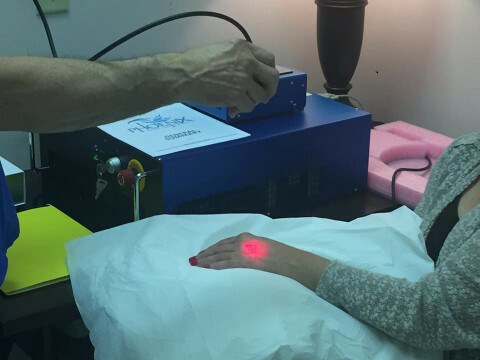 Phoenix delives more laser power to patient treatment sites, resulting in deeper penetration and improved therapeutic results. Better decision making technology for your health & wellness. We all want to be proactive with our health especially as we age or are dealing with a health challenge. We read different articles and see various videos on what our body needs to stay healthy. These days with all the information out there it can become very confusing what OUR body really needs. That is why I have chosen the ZYTO Bio-Communication Health Technology Software to me and my clients make better decisions about their specific body's needs. "This tool bring healthcare and nutritional analysis into the 21st century." Screening or scans are organized into what are called bio-surveys. You’ve probably filled out a survey before; a series of questions that you provide answers to. Well, a bio-survey is essentially the same thing, only you don’t answer the questions’ consciously, your body answers them directly. With the bio-communication scanning, the ‘question’ will be the "Virtual" Item and your bodys' response, is recorded and analyzed by the ZYTO software, is notes changes in the electrical properties of your cells and skin as you are in contact with the hand cradle. can differ widely. Different bio-surveys will include different Virtual Items. Some bio-surveys are general in nature and include items concerned with overall wellness, others include items relating to specific areas of the body or body processes, and some may deal with environmental factors. A bio-survey can be as varied and versatile as any other survey. The concept of Reiki was re-discovered by the Japanese Buddhist named Mikao Usui. It is said that through 21 days of fasting, self discipline and prayer, Usui discovered that a person can tap into the universe’s energy through the self, and use that energy to ease out different ailments. The very word Reiki has an etymology that helps us understand it’s true meaning:“Rei” means “God’s wisdom” and “Ki” means energy of the universe. Ki or also known as "Chi" also refers to feelings of spiritual energy. Reiki healers acknowledge that every person has a reservoir of spiritual energy. This energy by itself need not be used to heal instead, this energy works as a medium between the physical self and the universe’s energy. A Reiki healer will ask you to lie down in a comfortable position. Using hand movements and placements that they are taught by their master teacher, they will transfer their Reiki energy to their patient’s body. This generally lasts 1 hour, depending on how serious the illness is. During the transfer of Reiki, the patient will feel very relaxed. The body can feel the new supply of energy. The patients' body is supplied with energy and the tensions of the body will slowly dissolve. After the session has ended, the patient tends to feel vibrant and refreshed. even enables mystical visions in some spiritually sensitive people. end feel vibrant and refreshed. Therapeutic Massage is a manual therapy that manipulates the soft tissues and decreases muscle tension, pain, stress and depression. However, when posing the question, "What is therapeutic massage?" it is common to hear the following replies: “Massage is such a luxury." "Ah, massage, it is so relaxing." "Massage is something I treat myself to on special occasions." While all of these statements capture the idea of massage as a way to relax and to treat ourselves, none come close to touching on the true essence of getting a therapeutic massage and the actual therapeutic benefits to body, mind and spirit. Cautions: There are individuals that are not formally trained and do not have a license or certification. Those individuals can perform a "spa style" massage for relaxation purposes. The fees charged are comparable even though the knowledge base and skills differ. If you have no health issues, want a basic massage and do not anticipate needing any therapeutic work, obtaining the services of these practitioners is an option. However, if a therapeutic need crops up during a session, a referral should be made to a trained and sanctioned practitioner. Medi-CuppingTherapy is a modernized use of the ancient tool of cupping used traditionally with the art of Acupuncture. This new technique of cupping can be used in the traditional technique but also by using a new form of applications that blends traditional and therapeutic use which can get new and exciting results. This therapy utilizes glass cups and a vacuum machine to create suction on the body surface. These cups are moved over the skin using gliding, shaking, popping and rotating techniques while gently pulling up on the cup, and are parked for a short time to facilitate joint mobilization or soft tissue release. This suction can reach deep into the soft tissue or can work superficially to pull inflammation and toxins toward the surface so that the skin and lymphatic system can readily eliminate them. Scar tissues often release quickly, despite the age of the injury or keloid tendencies. Another effective application of Medi-Cupping is in the treatment of cellulite. A very light suction provides drainage, while heavier application can be used to stimulate circulation, liquefy deposits of solid bloat and loosen adhesions or “dimpling.” Successful and enjoyable body sculpting and contouring is possible, with lasting results and many health benefits! Remember that Massage Cupping therapy starts working on opening lymphatic pathways for those who have “solid bloat”, debris and congestion, or specific trauma to the tissue, often with dramatic results. Subsequent sessions clear deeper layers of old congestion and restriction to effect significant change in conditions. The ionic cleanse detox foot bath creates an ionization osmosis environment running negative ions through your body pulling & attracting the positively charged impurities, heavy metals, etc out through the feet in to the saline charged solution in the bath. The energized ionized water runs through your body bringing the body's chi & meridians back in to balance where one might feel energized & relaxed. Impurities are pulled from the body, improving the body's natural resilience. There is a noticeable change in the water color during the session where you are actually seeing cellular waste & oxidation present in the water. The energy fields are stronger, strengthening the body's immune system. You will feel revitalized, lighter feeling, balanced, clarity, healthy & ready to enjoy life!